Hilton's lobby bar is a dairy restaurant in every aspect; it serves breakfasts, soups, salads, pizzas, pastas, fish and first-rate cakes. 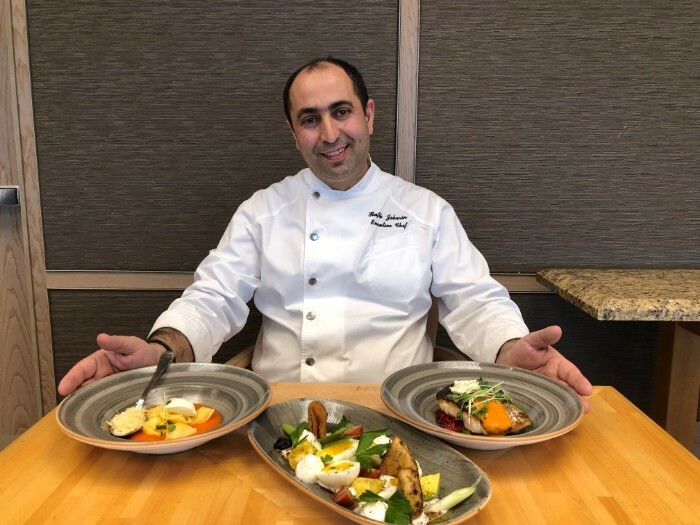 The menu has been refreshed and Chef Rafik Jabarin presents here interesting flavors from all around the world with a Mediterranean accent. 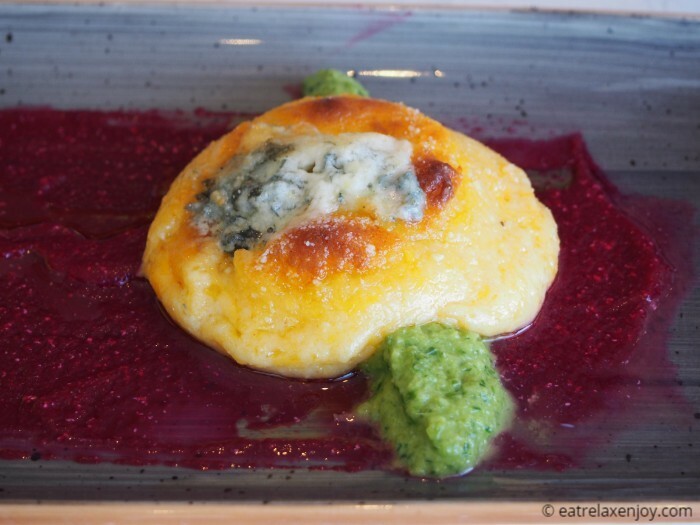 New and colorful dishes were recently added to the menu, like a variation of a soufflé and Meagre on beetroot risotto. 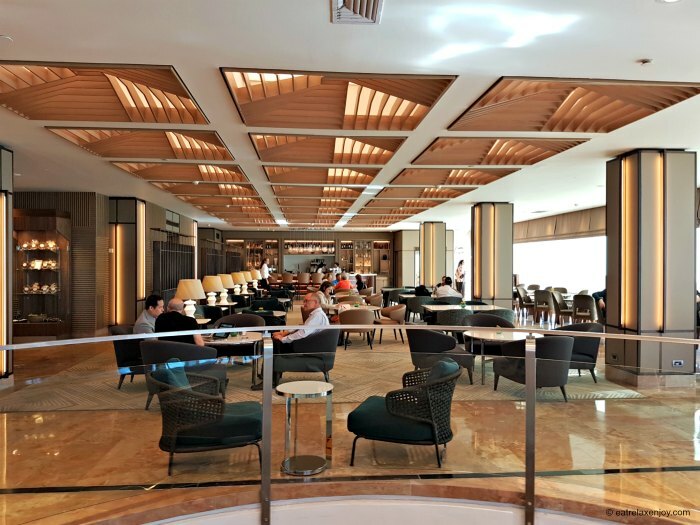 Most of the areas of the hotel have undergone a recent renovation, including the lobby and entrance floor that went through a makeover and have become more inviting than ever. 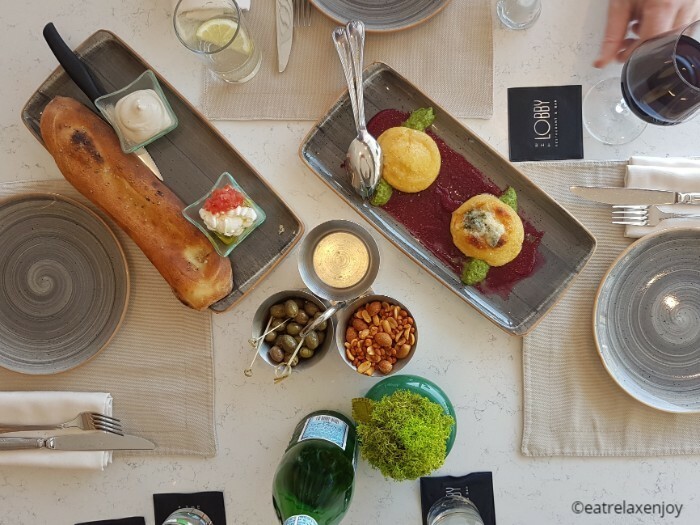 Featuring the Mediterranean landscape, it is a great place to sit and relax with a light meal or even just coffee and a cake. Seating options include seating at tables, and sofas and outside on the terrace in the Mediterranean breeze. Unfortunately, the gallery area facing the sea was full, so we sat down on regular tables, which turned out to be very comfortable. The menu is varied, even eclectic and tends to meet different tastes so that everyone can find something to eat. There are a variety of options for breakfast, 5 starters, focaccia and 3 soups, 10 main courses, 6 desserts plus glassy cakes. 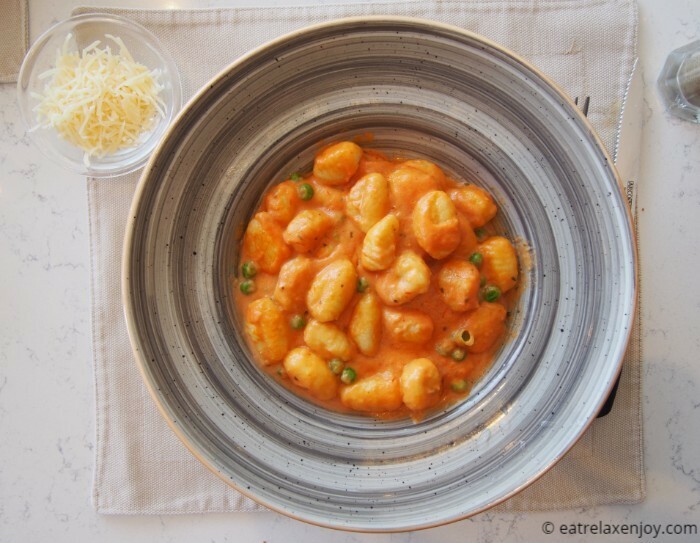 Among the dishes are pizzas, pastas, fish and more. 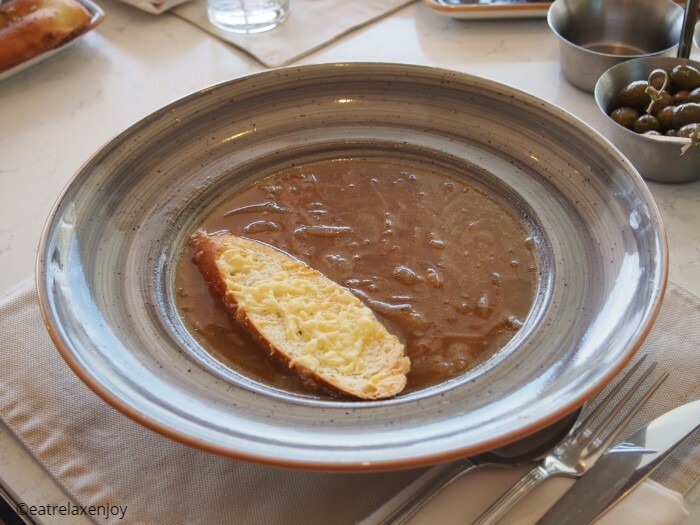 Served with Gouda cheese crouton (NIS 50). A huge plate of soup not heavy and slightly sweet. 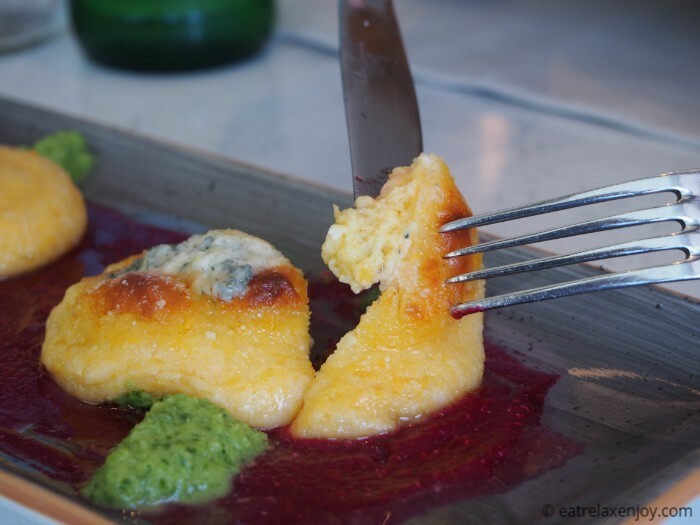 Blue cheese, cheddar and parmesan on beetroot and pesto celery cream (NIS 61). 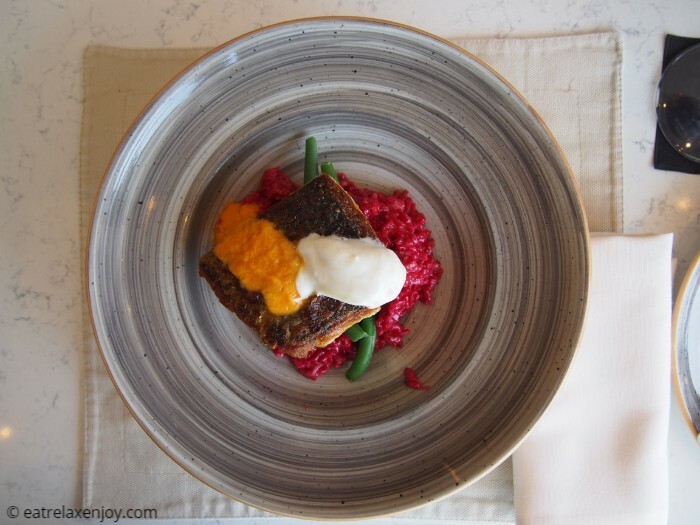 One of the new and successful dishes in the new menu, in my opinion. 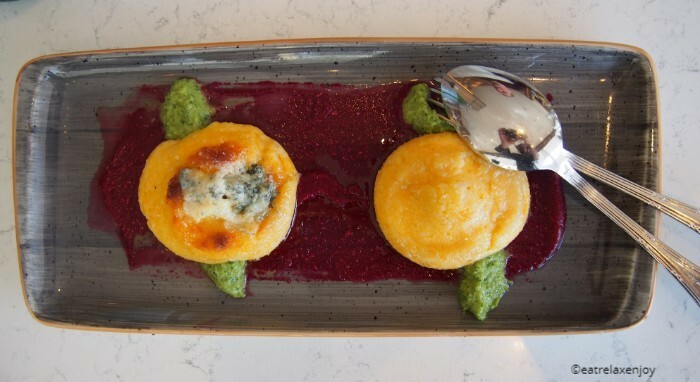 The serving reminds me of patties or mini pancakes, but they are soft and have a rich cheese flavor with a twist of blue cheese, and the pesto cream and beetroot taste complement it and turns it into a celebration in the mouth. Highly recommended! Served with white tahini and goat labneh with tomato zest (NIS 26). A tasty addition to soup or salad with coarse Jewish salt that cracks in the mouth and adds crispness. Rose sauce and green peas (NIS 79) This is a dish for those who like to play it safe. 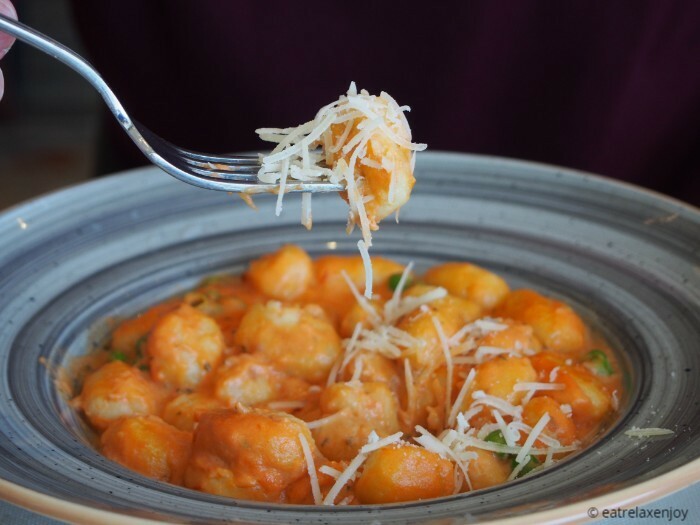 The gnocchi is stable and delicate and the sauce is tasty. 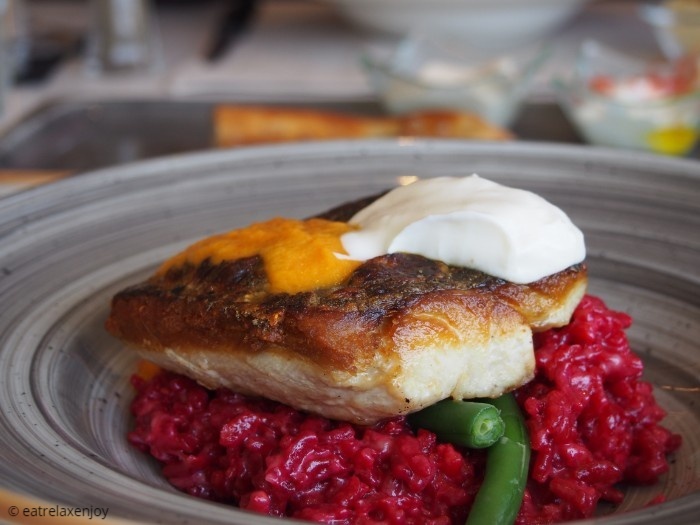 Served with creamy beetroot risotto, bouillabaisse sauce and cheese fondue (NIS 127). 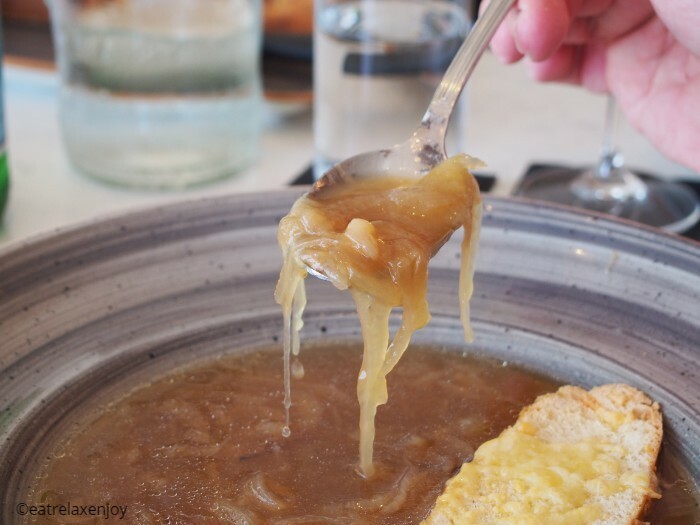 This is one of the flagship dishes of the new menu, which is a must-eat here, in my opinion! It looks like a million dollars plate and tastes delicious! 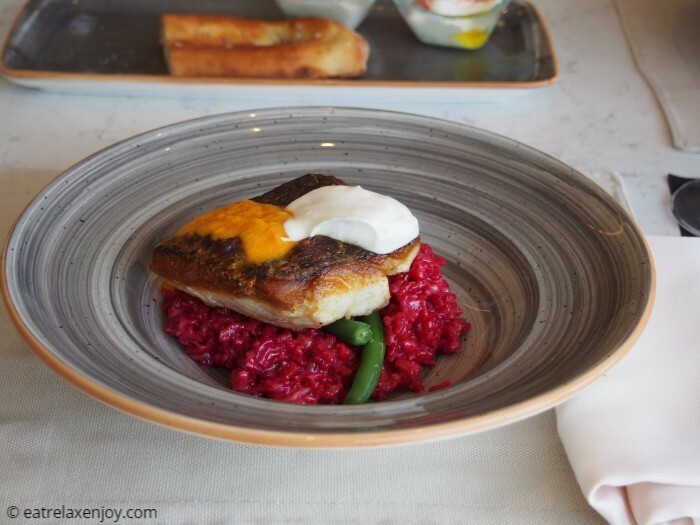 The fish fillet is delicate and is served almost naked without many spices and risotto bit al dente and is creamy at the same time, this dish is a real treat! 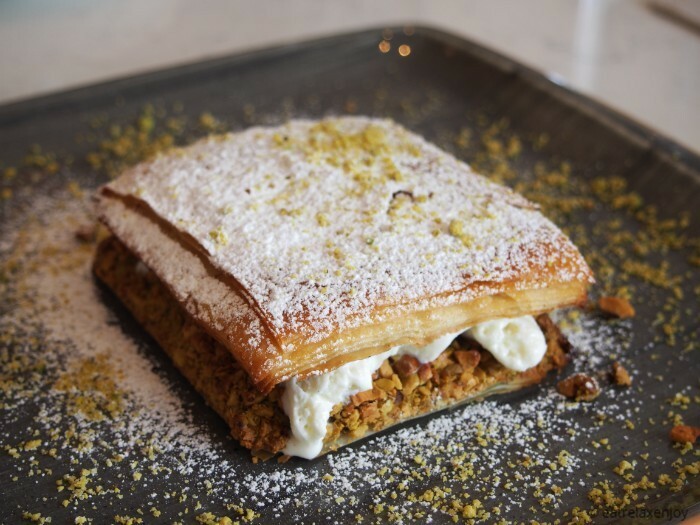 The desserts menu includes a variety of Middle Eastern desserts such as baklava and Kanafeh and the cakes of pastry chef Idan Hadad, on which I have recommended in the past. Filled with pistachios, served with vanilla ice cream (NIS 48), it reminded me of a combination of cremeschnitte and baklava, served at room temperature, layers of thin Filo dough filled with coarsely grinded salted pistachios and a layer of vanilla ice cream coated with powdered sugar and crumbs of pistachio. It is an interesting game of sweet and savory! 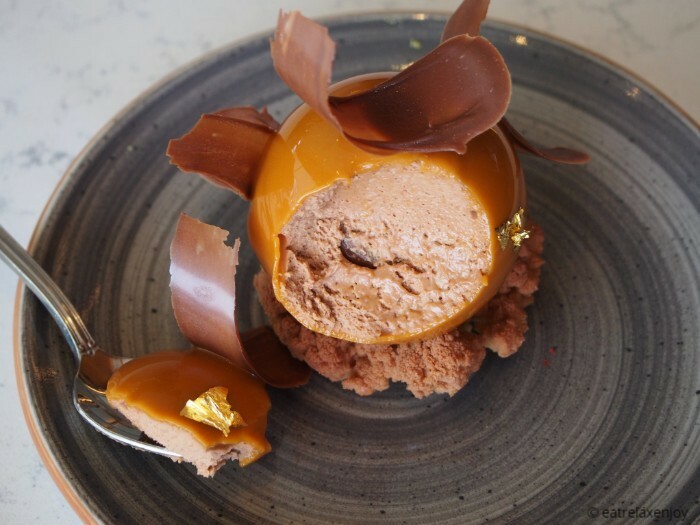 A hazelnut chocolate mousse ball coated with dulce de leche glaze with a center of chocolate hazelnut insert over a base made from Sabla cookies (NIS 44). 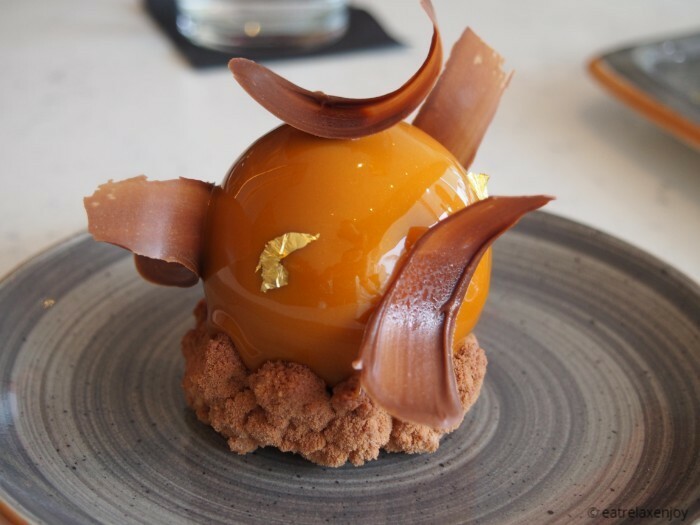 This dessert is a piece of art - bright as a mirror and with beautiful chocolate and gold garnish. It is very rich yet the mousse is not heavy. Inside, there is a surprise of chocolate with hazelnut cream insert. Take my word for it - if you are here order one of Eran Hadad’s cakes, you won’t be disappointed! 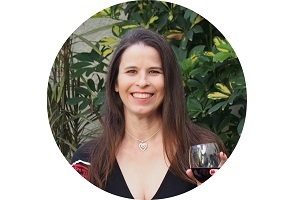 Maayan Vineyard 2016 of the Galilee Mountain Winery, an elegant 100% Barbera wine from high quality grapes. Aged for 16 months in French oak barrels, the line has a beautiful deep purple color, it is balanced and fruity with a long finish. Yarden Cabernet Sauvignon 2013 from the Golan Heights Winery, 100% Cabernet Sauvignon from the best winery vineyards in the Golan Heights and the Upper Galilee. The wine is aged for 18 months in French oak barrels out of which 40% are new. It also has a great color, it is a complex wine with slight bitterness, a full body and a long finish. In summary, one can eat here a full tasty meal in a pleasant atmosphere in front of the sea. 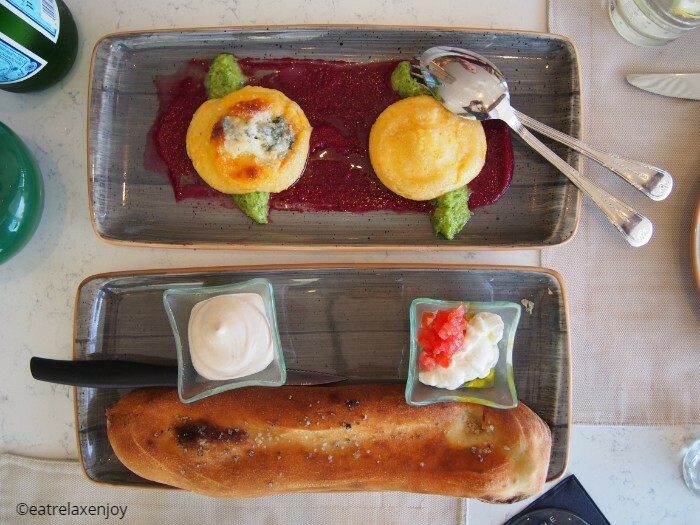 I especially recommended the cheese soufflé, meager on beetroot risotto, and Idan Hadad’s cakes.